The grace and muscular athleticism of Rudolph Nureyev and Carlos [Acosta] made them global stars, revered by fans and critics alike. And story of the miner’s son from County Durham who went on to become a principal dancer with the Royal Ballet, made Billy Elliot a film and musical sensation. But it remains difficult to persuade young boys there’s nothing soft or sissy about pirouettes, pas de deux and jetes. Now the Royal Academy of Dance appears to have cracked the age-old problem of persuading boys to take up ballet lessons. It has recruited hundreds of new boys to take part in a series of events promoting classical dance and has seen an increase in the numbers taking ballet exams. Last years [sic] the Royal Academy surpassed its ambition to sign up 1000 boys to its masterclass events, with the number of boys being taught in these classes currently standing at 1, 046. The academy has also seen a 16 per cent rise in the number of boys taking ballet exams over the past two years, from 1,127 in 2013 to 1,316 last year. How did the Royal Academy pull off this spectacular leap? The answer appears to lie in the world of video games and action films. Instead of classes based on the classical repertoire, with its emphasis on fairytales, princesses, tiaras and tutus – seen as more appealing to little girls than their male counterparts – the boys are encouraged to adopt the personae of superheroes and characters from films and video games such as Angry Birds, Optimus Prime, Minecraft, Star Wars, Lego and Toy Story. The newly appointed male dance ambassador for RAD, Iain Mackay, also Principal at the Birmingham Royal Ballet, says the secret lies in encouraging boys to view ballet in the same way they see sport – cool, physical, aspirational and addictive. Mr Mackay was taught a crucial lesson by his own son Oscar, 6, who told him he thought ballet was ‘girly’. “I’ve taken all my ideas from Oscar,” admits Mr Mackay. “Before he was born I taught ballet workshops using the traditional methods, but I could see the boys weren’t really engaging. “And when I [took] Oscar to his first ballet class it was a sea of pink and white and he just said ‘No, I’m not doing that. He said it didn’t look like they were having any fun. So I thought about the things he and others boys relate to – such as the superheroes and video game characters they play with on their iPads.” Now Oscar likes the sword fights and dance inspired games in his father’s rehearsals, but doesn’t think of it them as ‘ballet’. The Royal Academy, which sets the global standard for dance exams, now wants to encourage a change in the way classical dance is taught around the country, from schools to draughty church halls, to attract more boys to take part. Mr Mackay was first persuaded to attend ballet lessons as a seven-year-old Glasgow schoolboy only as company for his older brother, who had been inspired by the TV show Fame. His father was a sales rep for a guttering firm and his mother a librarian and until then neither had had much time for ballet. He said that although he attended his first class only reluctantly, the physicality of the leaps and jumps persuaded him to persevere with classical dance and he says it is this which still engages boys. “There are no short cuts. Ballet is physical and gruelling and you have to learn the technique from scratch,” said Mr Mackay. “But let the boys have fun first and enjoy being physical and in control of their bodies. Evan Paterson was reluctant to join in with his older sister’s ballet classes. After all ballet, according to all his friends, was “what girls did”. But when he took part in one of Ian Mackay’s Royal Academy of Dance’s masterclasses he suddenly realised it could be something for boys too. Now the nine-year-old is a regular at the ballet classes where his sister Alex, now 12, learnt her craft and is preparing for his RAD exams this summer. As part of his class Mr Mackay asks the boys to end their routines with a pose of their own choosing. Evan chose to imitate a rock guitar player. “I was thinking of poses that I could do and I saw someone on television playing the guitar and I thought that it would be cool to do the same thing,” he said. His mother Nicola, a dental nurse in Dunbar, East Lothian said: “He’d been interested in ballet because he saw his sister doing it, but he was reluctant to join in. The Herald Scotland also reported the news: Meet the Scottish ballet star inspiring a new generation of Billy Elliots. We are also planning an additional Boys Ballet Masterclass in Edinburgh in October, as well as activities in other parts of the UK. Please check www.rad.org.uk/maledance in due course. [Charleston, South Carolina, USA] – He was born in Houston, Texas, and lived in Clodine nearby during his earliest years. His dad ran a stucco factory, helping to make interiors look a little like the exteriors of Texas. At 4, he came to Sullivan’s Island and spent much of his childhood in the Lowcountry, attending public schools (Sullivan’s Island Elementary and School of the Arts) and taking dance lessons. At 13, he moved to New York City and began to embrace the likelihood that he would become a professional ballet dancer. As a member of the New York City Ballet, Ball stays on his toes, performing regularly at Lincoln Center and joining tours that take him to the far reaches of the globe. He will be in Charleston with the company for two performances of “Moves,” 7:30 p.m. Tuesday and Wednesday [March 8th and 9th] at the Gaillard Center. Ball will dance in two of the four pieces on tap: “Hallelujah Junction,” choreographed by New York City Ballet’s Artistic Director Peter Martins, and “In Creases,” choreographed by the company’s Resident Choreographer Justin Peck. The show also includes “Bitter Earth,” choreographed by Christopher Wheeldon (also associated with the New York City Ballet) and “Pictures at an Exhibition” choreographed by Alexei Ratmansky. As soon as he moved to the Charleston area, Ball started dancing. His mother was fueling an artistic fire. While other kids a year old were watching cartoons, Harrison, blanket and ducky in hand, stared at Metropolitan Opera productions aired on public television, Vera Ball wrote. It wasn’t always easy, Harrison Ball said. At Sullivan’s Island Elementary, the other kids were into sports and didn’t sympathize with the interests of a young male dancer. At School of the Arts, he was absent enough because of his burgeoning career that, normally, the school would have expelled him. Instead, administrators cooperated with Ball and his family and bent the attendance rules, he said. Early on, Ball was showing immense promise. By age 7, he jumps were magnificent, Cantwell said. He was catching on fast. His older brothers took karate lessons, and so Vera Ball signed up Harrison, lest he be the odd one out. A few weeks later he came to ballet class to tell Cantwell about a karate dilemma. His teacher, he told her, asked him to kick through a piece of wood! “I’m very sorry, but Mrs. Cantwell would not allow me to do that,” he told his sensei. His feet were otherwise committed. “When you had someone so brilliantly talented at such a young age, he could do far more than the average bear,” Bahr said. At 12, he attended a summer program at the School of American Ballet, affiliated with New York City Ballet. The next year he enrolled again and settled in New York. He was adjusting to the competition, the intensity of the workday, the sheer numbers of talented people, Ball said. By 15, Harrison Ball was ensconced in a small apartment in Brooklyn Heights, his parents helping to pay the rent. He was exploring what the city had to offer, enjoying himself, discovering himself. “At 16, they started talking about contracts,” Ball said. New York City Ballet only accepts a few young apprentice dancers each year, and there’s no guarantee that they will perform with the company, but nothing ventured, nothing gained. Ball was among the lucky ones. Then he won a Mae L. Wien Award from the School of American Ballet, which came with a $10,000 prize and some good roles. During this period, Ball was attending the Professional Children’s School near Lincoln Center, which provides academic training to young artists, and he was making lots of non-dancer friends and discovering his bohemian side, he said. His best buddy was a competitive figure skater. Other friends included musicians, actors, even an equestrian, “interesting kids,” he said. Ball continued to succeed, and soon he was part of New York City Ballet’s ensemble of dancers, leaping across the stage in a variety of roles. “I don’t mean this to sound arrogant, but when I saw him dance on the State Theater stage (at Lincoln Center), I would not say it was anti-climactic, it was more like, “Yes! Finally!” — what a long flipping hike!” his mother wrote. Ball said it’s a lot of constant hard work, long hours nearly every day. The company has about 430 different ballets in its repertoire and a longstanding reputation for innovation and collaboration. It’s always working on new stuff, Ball said. He can spend 12 hours a day dancing, beginning at 10:30 with simple moves, then a rehearsal at 11:30 a.m. that can last until early evening, then a performance. So he must pace himself and minimize the chance of injury. He’s danced in 14 principal roles so far, and at 22, he’s peeking physically. But a dancer’s career is measured in dog years. Often by 30, a professional ballet dancer has transitioned from the stage to the studio or classroom — or somewhere else entirely. And Ball is already thinking about next steps. He’s involved in the “Happyokay” arts collective, which began as an “art happening” that combined ballet, deconstructed classical music, soundscapes and interactive video. Ball was one of the four dancers. The first performance, which ran three hours and was filmed before a live audience, resulted in an intriguing video and determination among collaborators to do more. Since then, Ball signed on as an advisory board member and has worked on securing more performances, he said. [Iredell, North Carolina, USA] – A need for physical therapy, and a few friendly sibling dares, led the Schwab children into ballet classes. Now what started as a hobby has led to great success. Andrea Schwab and her children Aaron, 18, Gabrielle, 13, Ethan, 15, and Michayla, 9, have been involved in dance for almost seven years. The activity brought the family closer together, Andrea says. “We spend a lot of time together, whether it’s in the studio or in the car driving to dance practice or auditions,” she says. The Statesville family’s ballet journey began when Gabrielle was diagnosed with muscle atrophy in her calves caused by severe intoeing, commonly known as pigeon toes, at the age of 6. Doctors suggested a couple different options: She could get corrective braces or undergo surgery, or she could get involved in leg intensive activities like ballet. Aaron followed Gabrielle into ballet shortly after he broke his leg playing basketball. 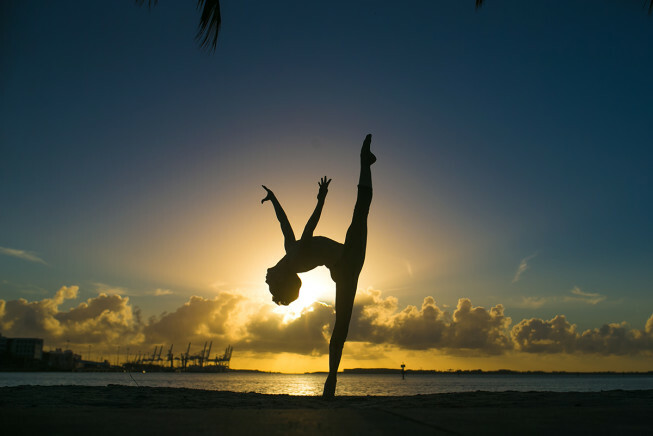 A doctor recommended extensive physical therapy or ballet. He was hesitant at first, but a dare from Gabrielle pushed him into the studio, Gabrielle says. 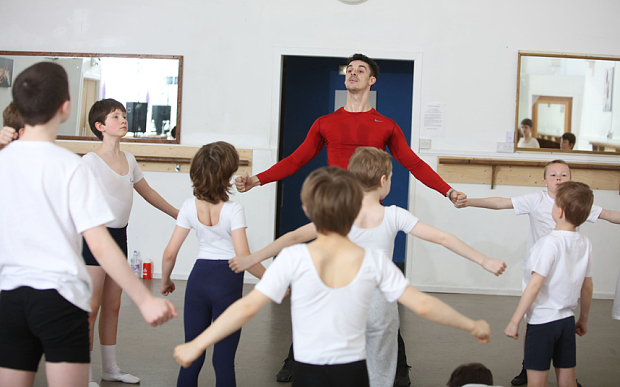 Aaron says he has developed a true passion for ballet after meeting his current instructor, Michael French. Now he isn’t concerned whether others think ballet is primarily for females. “I look at it as if someone is not willing to listen and accept me, then they are not worth my time,” Aaron says. Aaron later passed along the dare to younger brother Ethan. Ethan says he could not back down from a dare and took his first classical ballet class a year-and-a-half ago. The brothers have a competitive relationship, Andrea says. Ethan will join Aaron at International Ballet Academy’s summer intensive program. Although he said he enjoys ballet, he plans to pursue the masonry program at Iredell-Statesville Schools’ Career Academy and Technical School in the near future. Michayla began dance when she was 7, and she’s already landing parts. She was awarded the role of Clara’s little sister in Hickory Ballet Academy’s “Nutcracker” this past year, her mother says. Aaron recently received a full tuition to Nashville Ballet’s summer intensive program as well as a scholarship from Hickory Ballet Academy to the International Ballet Academy in Greer, S.C. He says he is serious about dance and wants to pursue a professional career. Melissa French, The Schwabs’ current dance instructor at Hickory Ballet Academy, said that the Schwab children take classes five nights a week, and Aaron and Gabrielle often have private lessons to refine their skills. The children have learned a mix of the Vaganova (Russian) and Cecchetti (Italian) ballet methods. French says she hopes to see Aaron become a professional ballet dancer. Older brother Gavin, 21, is involved with ballet indirectly. Although he does not dance, he has helped work behind the scenes, Andrea says. Andrea also is involved, helping sew costumes for some of Hickory Ballet Academy’s performances. Andrea says ballet classes have helped her children learn in their homeschooling classes as well. “Ballet takes a lot of discipline and focus, which helps with their studies,” she says. Melissa French says that ballet has an impact on their students’ grades because the school requires their students to make passing grades. “About 30 percent of the students I teach are homeschooled,” French says. “The flexibility of homeschooling gives them time to focus on their craft, and it also gives them a chance to socialize with our variety age groups. “Dance is good for everybody, it just helps with the mind body, body and soul,” French says. 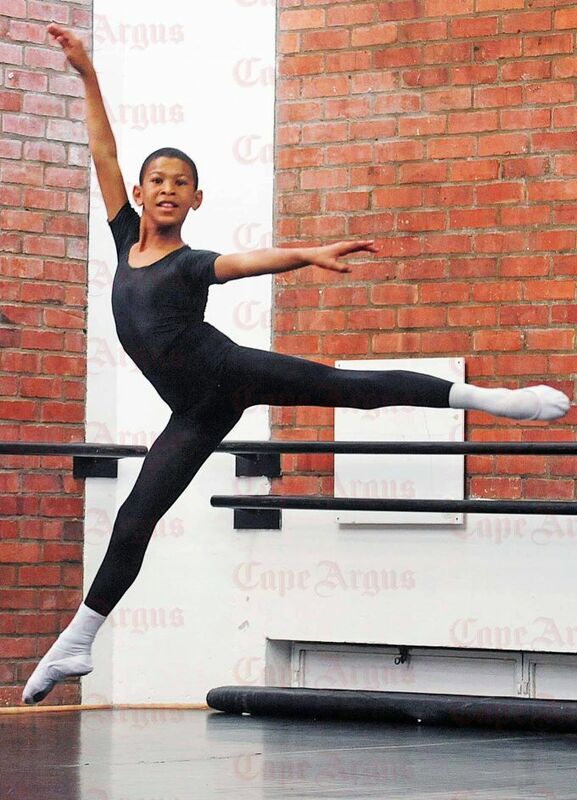 At just 11, Faahkir Bestman has already studied ballet in London, secured a spot at the American Academy of Ballet Summer School for Excellence and is set to perform in the South African International Ballet Competition later this month. He is due to jet off to New York in July to attend the summer school. Abeedah Medell, the director of the Eoan Group School for Performing Arts, said she was extremely proud of Faahkir. Described by Medell as “a humble, quiet and beautiful person”, Faahkir has been dancing since the age of two to entertain his six-year-old sister, Abeeda. “How do you deny someone who dances to make someone else’s life better?” Medell asked. Faahkir, from Hanover Park, lives with his 61-year-old grandmother, Aysha Bestman, and 10 of his relatives, including his severely disabled sister, in a two-bedroom council flat. According to Bestman, Faahkir feeds, cleans and entertains his sister, who is “his main reason for performing”. Faahkir was awarded a scholarship at the Eoan Group School when he was nine. Medell saw him dance and immediately called the chairman to recommend him for a scholarship. 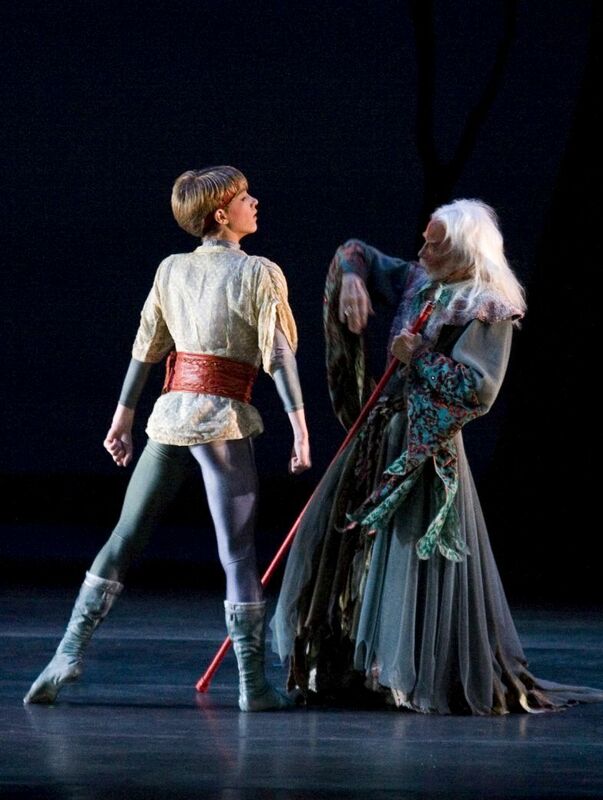 “The ballet world needs a Faahkir,” Medell said. In July last year, he flew to London to attend the Royal Ballet Summer School. Medell said despite his age and finding himself overwhelmed at times, Faahkir came out top of his class. He was one of two boys to obtain a certificate of excellence. A crowdfunding venture managed to raise enough money for his upcoming New York trip. He hopes to one day join the Royal Ballet in England. “I want to travel the world. I want to dance in front of Queen Elizabeth,” he said. Copyright 2016 Independent Media Ltd.
[Cape Town, South Africa] – – A 12-year-old boy is dancing his way from the dusty streets of the Cape Flats to the Big Apple. He’s earned himself a spot at the prestigious American Academy of Ballet Summer school after impressing the judges at an audition. [Capetown. 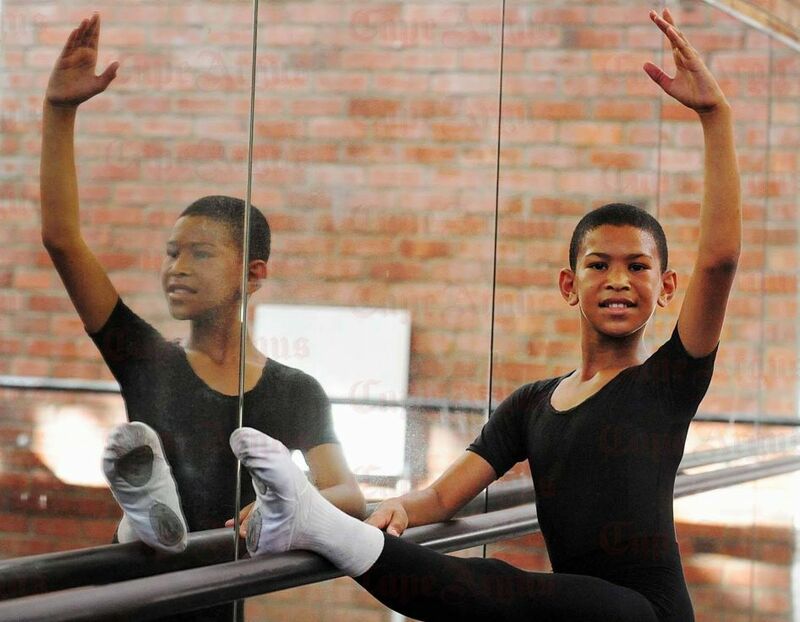 South Africa] – Faahkir Bestman is a LeadSA Hero who came to fame for his passion and skilled performance of ballet, despite the odds. 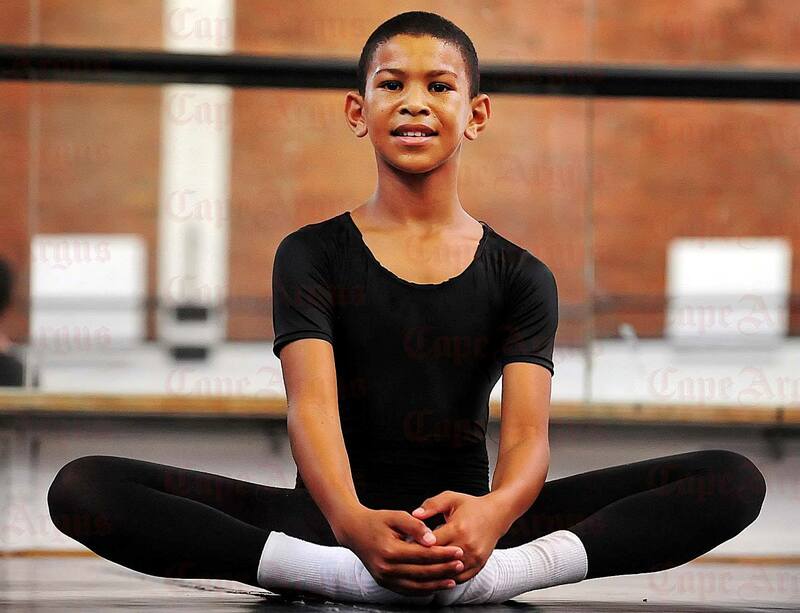 The 12-year-old boy from Hanover Park is leaving the Cape Flats for two weeks in July to study dance at the acclaimed American Academy of Ballet in New York. The academy awarded him a 25% scholarship and R30 000 was raised through a crowd-funding documentary that was created by two filmmakers. 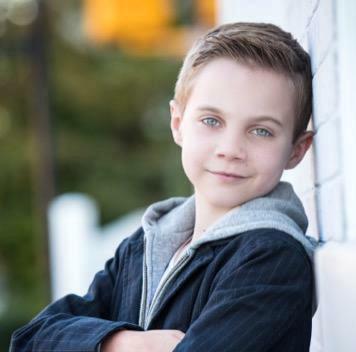 10-year-old Brady Farrar is one to watch. Training at Stars Dance Company in Miami, the young dance prodigy and Capezio Athlete just won the Hope Award at the Youth America Grand Prix Semi-Finals in Atlanta. Brady is now busy training for the New York City Finals, at which he will be a serious contender for first prize after winning Mini Outstanding Dancer at New York City Dance Alliance (NYCDA) and Mini Best Male Dancer at The Dance Awards in the last two years. Fresh from performing at the YAGP Tampa Gala and from competing in Atlanta, the focused, yet humble, young man spoke to Dance Informa about his dance dreams and his journey thus far. Last year you won Silver in your age division at the YAGP Finals in New York City. How did it feel? Are you wanting to go for the Gold this year at the Finals in New York? What do you think is your strength as a dancer? What other competitions have you been competing in lately? At Stars, you do a homeschool dance program. What is it like? Wow. So how many hours a week do you dance? What is it about dance that you really love? Why do you put so much time into dance? Do you prefer ballet or contemporary? Do you aspire to become a professional dancer? Are you thinking a traditional ballet company or a contemporary dance company? You won the national title of Mini Outstanding Dancer at NYCDA last year, and got a chance to model for Capezio as part of the NYCDA Model Search. The photo shoot was on the roof of the iconic 51st Street NYC store. What was that like? What is it about Capezio clothes and shoes that you really like? Besides dance, what else do you like to do? At the top of this page, click on the Submissions page. Readers can paste links to stories in the comment section. Young men who choose to dance have many opportunities and reasons to audition. They audition for summer intensives, for positions in companies, and for specific roles. When the time comes to audition for companies, hopefully, they’ve gotten some experience so they can put their best foot forward. When Julian danced at Teen Dance Company (now the Conservatory for Contemporary Dance Arts in San Jose), he had the opportunity to learn to audition. The artistic director brought in many choreographers every year. Each time a new piece a choreographer created a piece, the dancers would audition for parts. This experience came in handy when he began auditioning for summer intensives and then for ballet companies. Whether or not you—if you are a dancin’ boy—or your son—if you are a dancin’ boy’s parent–has ever auditioned before, there are some things you need to know about auditioning for dance companies. To get a bit more perspective on the audition process, I asked Aaron S. Watkin, artistic director at SemperOper Ballett in Dresden, Germany and Nikolai Kabaniaev, director of the boys program at City Ballet School in San Francisco, CA, to comment on the subject. Julian currently dances at SemperOper Ballett and studied at City Ballet School from age 16 to 17. [Nairobi, Kenya] – Growing up in Kuwinda, a slum sandwiched between Kibera and Karen, in Nairobi, Joel Kioko spent most of his free time playing with his friends. He especially enjoyed somersaulting and high jump. Joel had never seen any of the Kenyan acrobats in action, but he knew that he could jump higher than any other child in his neighbourhood, a place where most of his age mates had dropped out of school because their parents could not afford to take them to school. He was lucky though, because his mother, Kamene Kioko, a single parent, then worked as a teacher’s assistant in the local school, and could therefore afford to take him and his younger sister to school, even though it was a struggle for her, since she did not earn much. One day, a young British girl was introduced at Joel’s school. She was there to teach dance, they were told. 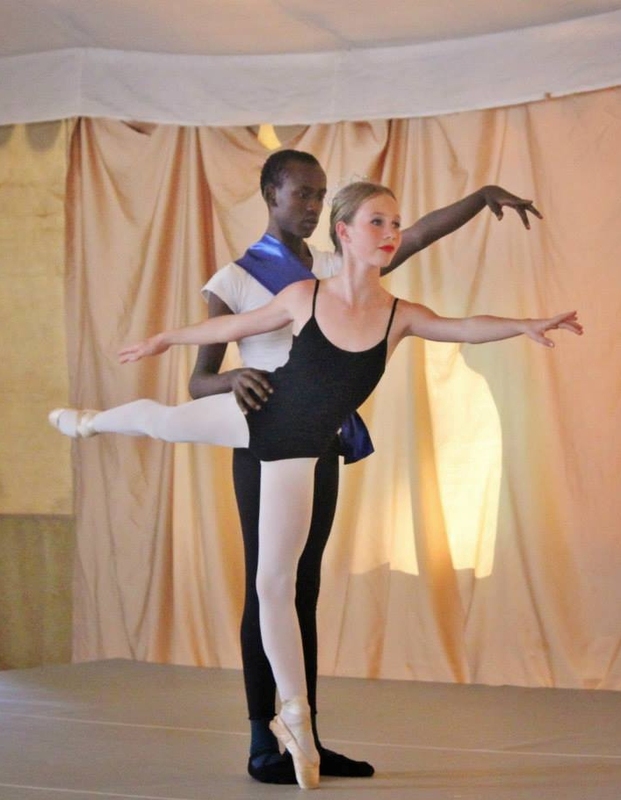 Annabel Shaw, 14, was a student at International School of Kenya, and as part of her philanthropy class project, a hands-on requirement of the course, she had decided to teach ballet for a term at Karen C Primary School. None of the children there knew what ballet was or what it involved, but from the moment Annabel saw Joel leap across the classroom floor during her class, she knew this long-legged boy had something very special in him. Annabel taught the then 13-year-old Joel for several months, and before she completed her school project, she called her ballet teacher, Cooper Rust, to come see this remarkable boy perform. Cooper, who was taking a break from being a full-time ballerina in the US to teach children here, was bowled over by Joel. For in spite of his not having any dance technique (apart from the little he had learned from Annabel), he obviously had a natural agility and ability for learning ballet. “I didn’t hear from her (Cooper) for two weeks after that,” recalls Joel, who until then, had not given much thought to what he wanted to do with life. To him, going to school was just something that a child his age did. “After two weeks, I received a letter with instructions to take it home and read it with my mother,” he adds. The letter was from Cooper, inviting him to join one of her classical ballet classes at the Academy of Dance and Art, run by a British NGO. The tuition and dance attire would be covered by Annabel’s parents, Tonya and Nigel Shaw. Joel was elated, and his mother pleased that her son would be doing something that he clearly loved already. Soon after, he joined Cooper’s ballet class at the Academy of Dance, but shortly thereafter, in early 2015, joined Dance Centre Kenya, where Cooper had moved, becoming the centre’s artistic director as well as Joel’s main dance teacher and mentor. “Three months later, Joel participated in Grade 3 exams administered by the Royal Academy of Dance [RAD] of the UK,” says Cooper. “He scored 73 percent, which earned him a ‘merit’,” she adds, noting that the exam tested his agility, not his theoretical knowledge of dance. From then up to now, Joel keeps getting better and better, thanks to Cooper’s mentorship. He has grasped ballet techniques so quickly, that he was soon able to advance to Grade 4 and 5 after which he took more RAD exams and received distinctions in both grades. In the process, he also earned the highest scores in the entire Dance School! He also began dancing ‘Pas de Deux’ (together with) the 12-year-old Lucile Plumbe, the young ballerina (also Cooper’s student) with whom he would partner in December 2015 when they performed in Kenya’s first full-length Ballet, “The Nutcracker” at the Kenya National Theatre. Both he and Lucile had leading roles. Before Joel started the rigorous rehearsals for “The Nutcracker”, he travelled to the US, where he spent three months studying at the University of South Carolina’s summer ballet program. After the initial auditions, he was placed in the second to highest level of dance instruction. It was a whirlwind experience, and before the end of the program, he had been given multiple opportunities to dance the lead roles in several productions staged over the summer. The experience was eye-opening for Joel, if not overwhelming, given he experienced so many ‘firsts’ that he lost count. Nonetheless, he took the whole experience in his stride. He had known he was embarking on an opportunity of a lifetime, and was already assured in his mind that ballet was the primary passion in his life. During this first visit to the US, Joel got to meet many other young dancers who are also aiming for professional heights and wanting to make ballet their life-long careers. Joel intends to learn as much as he can from his teacher, who has had a successful career in this profession, which is uncommon here. Cooper says that ballet has been her passion from the age of two, when her mother took her to see her first ballet. “She thought I would sleep through it, but I was on the edge of my seat throughout the performance,” recalls Cooper, who says she fell in love with the dance from that moment on. She began taking dance classes from age three, and was so convinced that ballet would be her life, that she began training to become a professional ballerina from age 13, attending the prestigious School of the American Ballet in New York City. After that, she went to study at the Harid Conservatory in Florida. From there, she went from being a ballet ‘apprentice’ to becoming a prima (solo) ballerina with several professional ballet companies across the States. But taking a break from that busy life does not mean that Cooper has given up ballet. On the contrary, at the Dance Centre Kenya, she’s not only the artistic director training children and remarkably gifted teenagers such as Annabel and Joel, she is also been choreographing ballets like “The Nutcracker” (in which she also danced) and co-choreographed the upcoming contemporary dance production called “Playing with Music” with five others, namely Caroline Slot Wamaya, Raymond Ochieng, Alexus Ndegwa, Francis Muturi and Natasha Frost, a visiting choreographer from the National Dance Theatre of Jamaica. Joel has got a major role in “Playing with Music” which opens on Friday, March 11 this year, and runs through March 12 at the GEMS Cambridge Academy. He says: “I have been preparing for my first contemporary dance performance by taking classes in everything from jazz, hip hop, gymnastics, and contemporary dance to musical theatre and several levels of ballet.” But even though his time table seems incredibly full, he says he would love to be taking even more dance classes since he wants to excel as quickly as possible. He knows he started studying ballet ‘late’ by comparison to most people who realise early on that they want to do ballet for life. But being a ‘late bloomer’ has actually made him want to work that much harder to learn everything about ballet and dance as fast as he can. “I had never thought about what I would want to do with my life until I started doing ballet, but now there’s nothing else I want but to dance professionally,” Joel says. This passion is one of the reasons Cooper has gone out of her way to organise opportunities for him to develop his talents as fully and as fast as he can. Joel will be traveling again to the US this coming June after being accepted on a full tuition and boarding scholarship to attend a five-week summer program at the Cincinnati Ballet. The program has been especially designed for up-and-coming talents like Joel. After Cincinnati, he will travel back to South Carolina, where he will spend another two weeks training with the University of South Carolina Dance Conservatory. 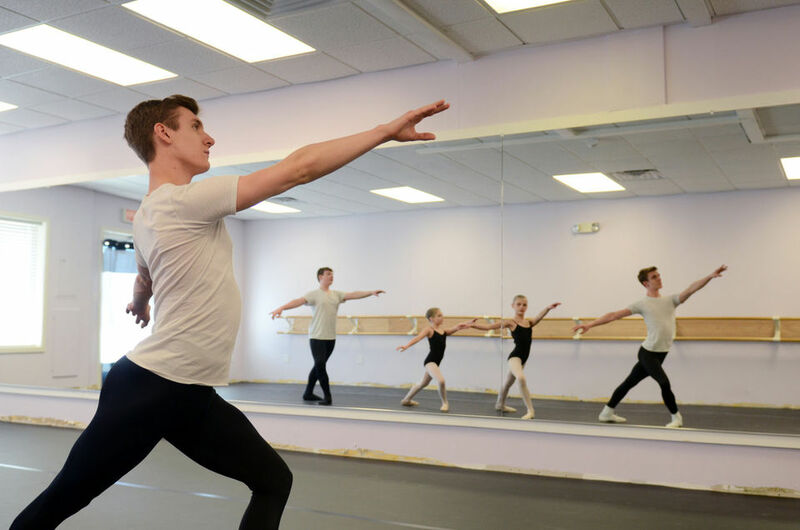 Once the summer programs are done, he will train for a year at the Carolina Ballet, where he has already been awarded another full scholarship. After that, Cooper hopes Joel will be ready to join his age-mates in 11th and 12th grades in an American secondary school in 2017. But before that hope can be fulfilled, Joel needs to acquire basic social and academic skills to ensure his success. To achieve this, his teacher has designed an intensive ‘crash course’ for him, so that between now and June 10th when he’s scheduled to fly out of the country, he’ll complete a one-on-one training program that will involve him studying everything from math, science, English and French to social science, spelling, literature and even piano. “Joel is very much a visual learner, and although he is one of the brightest people I have ever seen in the studio, he has a difficult time with basic reading, comprehension and math,” says Cooper whose program for Joel is being funded by an American NGO called Artists for Africa. Since the 8-4-4 educational system makes no provision for ‘visual learners’ like Joel, Cooper appreciates that his under-developed academic skills have less to do with his potential to learn, and more to do with the skills that were not imparted in his former school. Currently, his training program is the equivalent of home schooling, which involves having most of his classes at home with the help of a tutor. The weeks ahead won’t be easy for this young man, but already, after having only five piano lessons, he has mastered the beginner’s book, which normally takes months to complete. “Joel is very artistic, very gifted,” Cooper points out, adding that he has a bight future ahead of him.